The annual UK Consumer Media Survey published by Deloitte is finally out. It provides us with some fascinatingly unexpected, as well as some blindingly obvious insights. So, what fresh knowledge can the survey impart to us wise marketeers that can help our effectiveness? The digital landscape changes so quickly that it is easy to miss the odd development as we furiously plough our own furrow. Let’s start with those points which most of us will probably not be too amazed by. The report starts by remarking that the UK is addicted to media. We watch four hours of TV every day on average, two thirds of us still listen to the radio every week, 60% still read a newspaper, and another 60% regularly read magazines. Most importantly the average UK household spends £900 a year on media. Not only do more than 80% of us own laptop computers, but the number of hand-held devices is increasing. Those of us who own a smartphone has increased by 10% from last year to 75%, and the number of us who own tablets has risen by almost 25% from last year to almost 60%. What’s more, those who own one hand-held device are more likely to own several – the 49% of households who own either a smartphone, tablet or pc are 12 times more likely to own six or more of these devices. Because they are so easy to carry around, we can use hand-held devices to influence our purchasing decisions even when we’re out and about. £15billion of sales was influenced by information found on a smartphone. You’d be wrong if you thought that digital advertising had reached something of a peak. No, revenues grew 18 per cent in 2013, which is a healthy growth rate and doesn’t indicate we’ll be hitting a slowdown just yet. Sadly only 29% of people trust online news (that’s slightly worse offline, where 34% trust the news). Interestingly, it is under-35s who are most trusting and over-65s who are least. Facebook is the most popular form of social media, and more of its users think the service is a source of entertainment than those who consider it a source of new content. You might say that more social media users like to keep it light and fluffy. It’s probably no big surprise that the younger you are, the more social media accounts you’re going to have. More importantly, the UK has a distinctive social media environment where under-25s are more likely to use Facebook, Twitter and even LinkedIn than their counterparts in the USA. Conversely, Americans of the same age are more likely to use Instagram, Snapchat, Tumblr and even MySpace (who knew anyone used that service any more)? While console gaming may still be the preserve of teenage boys (well, 16-24 year olds), the average player of ‘casual games’ (ie hosted on smart phones, tablets and social networks) is a woman of 25-34. Further, 10% of casual gamers are aged over 55. These new gamers are most likely to find their games through browsing app stores, and then through face to face recommendations, and social media recommendations. If you’re thinking of getting in on the action, free-to-play games supported by adverts are more popular with freemium games (with charges for extras). So, if you’re working in the UK and thinking of producing marketing content for the casual game aimed at women or old people, try and share it on Facebook and Twitter, rather than Instagram or Tumblr. Also, when you share editorial online, don’t be surprised if no one trusts what you’ve written. Just make a notable exception in our case please. 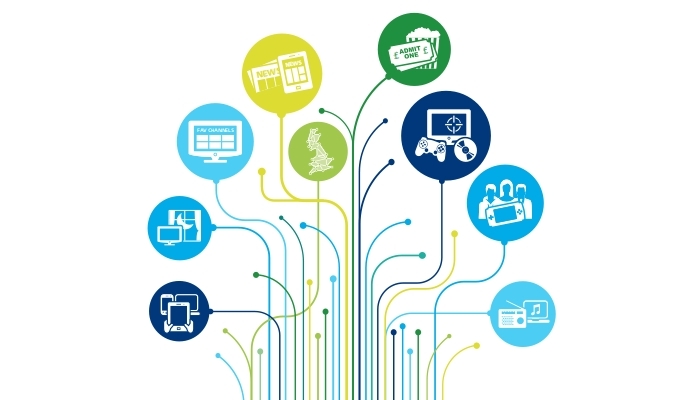 Deloitte surveyed 2,000 UK consumers using an online methodology in January and February 2014. Read it here.